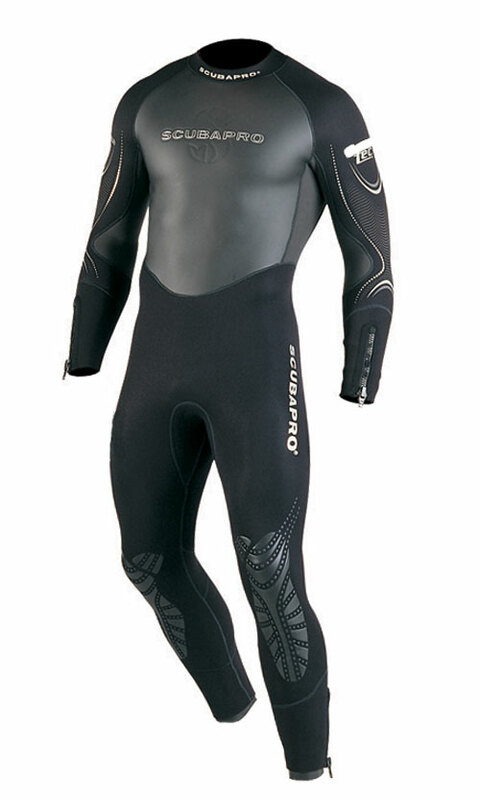 A serious suit for serious divers. The perfect combination of advanced materials and thoughtful construction for outstanding durability, comfort, and protection. Non-porous Fairskin material on external torso panel facilitates quick drying and helps prevent evaporative heat loss. Heliospan material on internal torso for added warmth. EverFlex stretch panels on stressed locations provide extra flexibility. Raw-cut collar for unprecedented comfort. Gusseted zippers on wrist and ankles facilitate easy donning and ensure a virtually watertight seal. Double blind-stitched seams for comfort and durability. Nylon thumb loop at base of back zipper. Metal main zipper slider for durability and ease of operation.